Former NHRA Drag Car campaigned in the Midwest by the White Brothers and Bill Kissinger of Valparaiso, IN during the 1973 thru 1979 seasons. Pontiac did not officially sponsor racing after 1963 but the White Brothers were among a handful of successful NHRA drag racers such as Arnie Beswick, Milt Schornack & Arnie Toftland that did did receive factory cars and parts through an "engineering" channel. 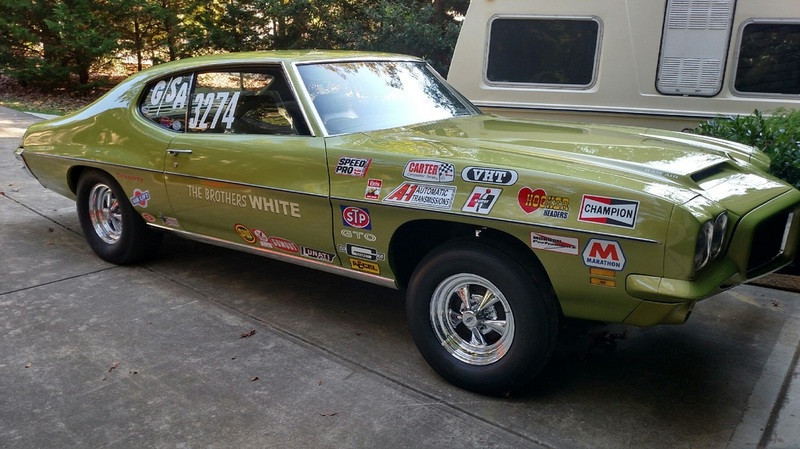 The White Brothers (Chuck Ken & Art) were some of the quickest & brightest Pontiac racers during their racing days setting an NHRA record in 1972 with their Lucerne Blue '72 LeMans powered by a 455 HO. After the '72 season all factory sponsorship of racing was completely cut off so the White's had to buy their own cars to race with, one was Arnie Toftland's old '71 LeMans drag car. 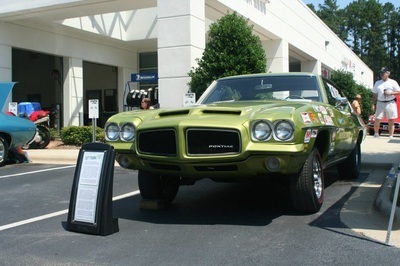 The second car was this Tropical Lime '71 T-37 (pictured above) that Chuck White found resting in a Black Oak, IN junkyard. This car was a stolen recovery that was missing the driveline & front sheet metal, a perfect candidate to become a race car! With many of the spare parts that came with Arnie's old car that they purchased, this T-37 was reborn and raced as a '71 GTO 455 HO. 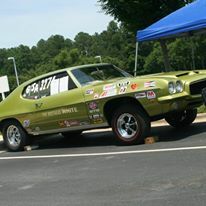 This mighty Pontiac warrior put many of it's competitors back on the trailer. The time slips found in the glovebox show this was one tough car running the 1320 with low 12's ~ high 11's times in both G/SA & F/SA NHRA classes. Sadly Chuck White passed away in 1976. Ken & Art both gave up racing at that time but Bill Kissinger continued racing this T-37 until 1979. 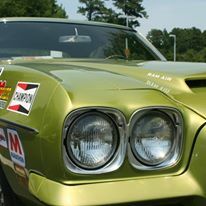 Bill then raced a RA IV powered '70 Trans Am until the mid 80's. Bill Kissinger is still a successful drag racer campaigning an '84 Olds 442. 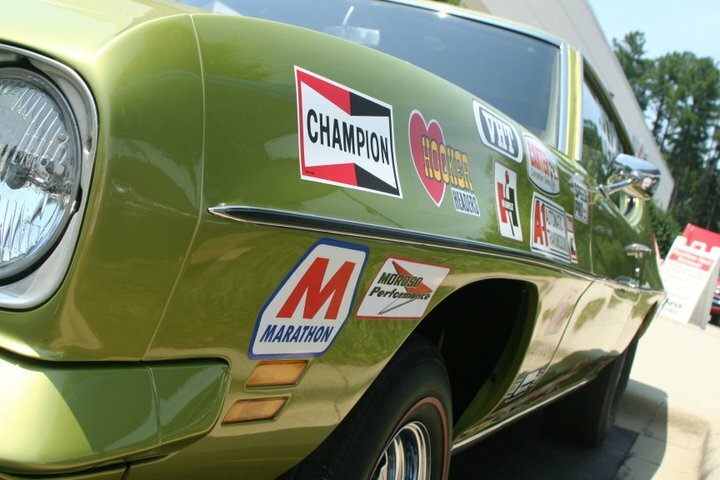 This car still remains in it's "as raced" condition with the exception of new paint. The 455HO that it was raced with will once again rest between the frame rails as this work in progress continues. This car is a reminder of the talent, skills and the dedication to Pontiac of the White Brothers. The actual mileage on this T-37 is only 4,853 miles.